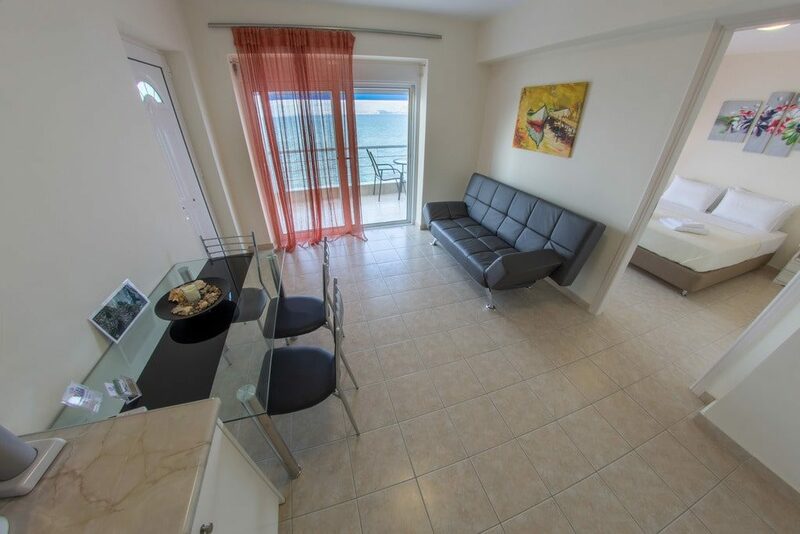 Cherry Tree Apartment situated on the third floor of Kiveri Apartments building. 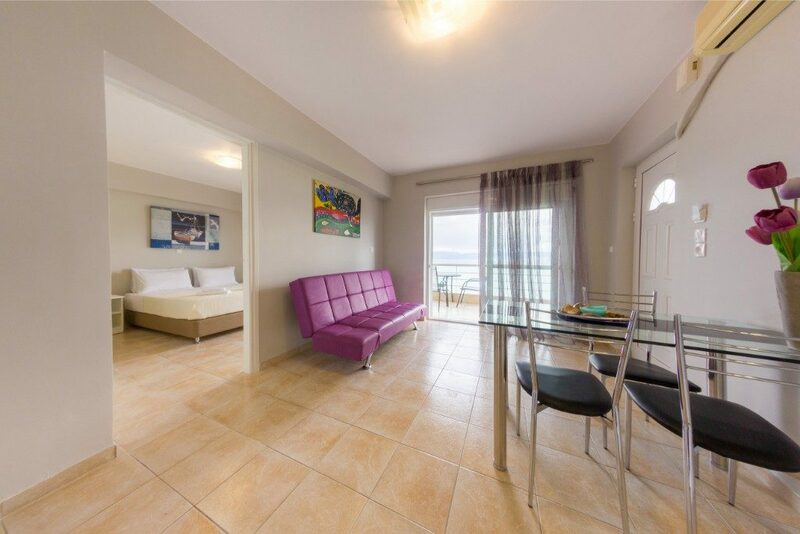 It is a spacious apartment, consisting of a living room with kitchen, two separated bedrooms, one private bathroom and a big private balcony with sea view. The living room offers a comfortable stay with sofa bed (185×116), sofa table and a 32 inch flat screen TV. In the kitchen area you can enjoy cooking at a fully equipped kitchen with family fridge, stove, electrical oven, cabinets, toaster, kettle and microwave Oven. Both bedrooms have a double bed which can be split in two single beds, nightstands, embedded closet, dressed with high quality bed linen and accompanied with all the necessary accessories. A baby cot may be provided free of charge upon request. The apartment has a clothes cleaner machine. However, all windows and doors have insect screens. 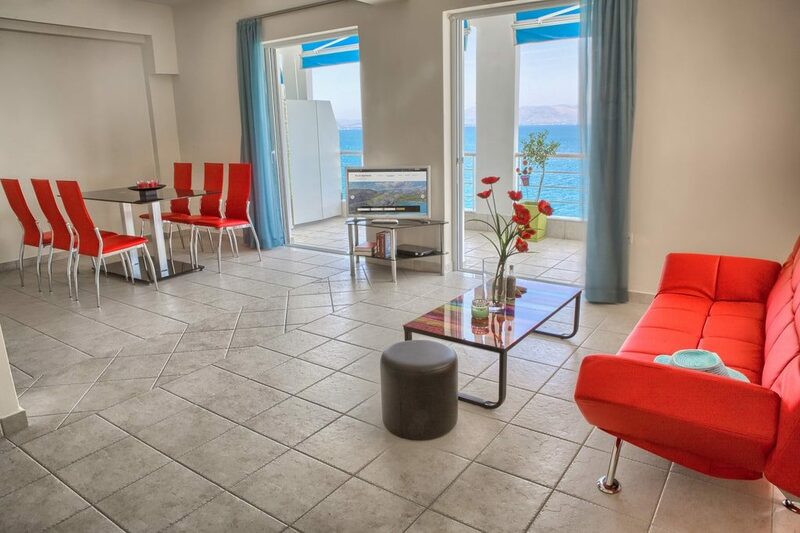 On the big balcony you can find table with chairs where you can comfortably enjoy the sea view. 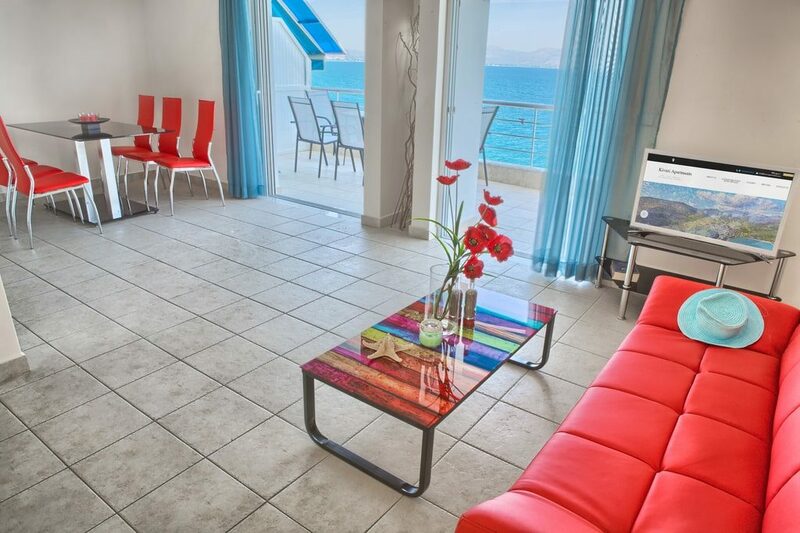 The apartment is air conditioned with access to the balcony overlooking the Argolis gulf and Nafplio. Wireless Internet access (WiFi) is available for all apartments and will be provided free of charge to our guests. The cleaning of the apartment and the change of towels and bed linen are free of charge upon request. Cherry Tree Apartment can accommodate up to 5 persons in comfort.